Centred on the beach bum-surf city of Durban, the huge – and hugely diverse – province of Kwazulu-Natal on South Africa’s east coast doesn’t have the stellar international wildlife reputation of some parts of South Africa. And yet, with its rich ocean currents, soaring mountain plateau, searing savannahs and swampy shorelines, sub-tropical Kwazulu-Natal is actually one of the more rewarding wildlife-watching areas of the country. Drag yourself off the beach towel and you might find yourself having thrilling face-to-face encounters with lumbering hippo, comical turtles, racing cheetah, breaching whales, growling lions and heavy-footed elephants. Although there is great wildlife watching in many parts of the region, the largest concentration of protected areas is in the northeastern coastal areas a few hours’ drive north of Durban. Spinning away from the massive Lake St Lucia are a number of interconnecting public and private game reserves which together encompass everything from windblown beaches to Big Five-filled grasslands. It’s a wonderful region to explore and one that, for the moment at least, is mainly the preserve of in-the-know South African wildlife watchers. The density of big ticket wildlife is a little lower than in the Kruger area, but thanks to the diversity of habitats the range of animals that call Kwazulu-Natal home is exceptional. All the normal big hitters are here including elephant, lion, buffalo, rhino (both black and white), leopard and wild dogs. Hluhluwe-iMfolozi Park and surrounding conservation areas are the best bet for a classic Big Five safari and many an experienced safari goer actually rates Hluhluwe-iMfolozi over the more famous Kruger. The bird-life in this region is also unusually prolific and even the least ornithologically inclined visitor can’t fail to be startled by the flurry of bright feathers of a mangrove kingfisher (a winter only visitor) or Natal robin (its name recently changed to red-capped robin-chat). Kwazulu-Natal is a wildlife-watching destination all year round with something magically natural taking place at any given time. The prime period for Hluhluwe-iMfolozi though is May to August when the grass is shortest and wildlife easiest to spot. But if you like your animals small and cute, then November to January is birthing season for many mammals, while in February the elephants make a bee-line for the marula trees. The bigger parks in this area are very popular with South Africans and it’s worth trying to avoid the school holidays if you value a modicum of peace. Second only to Kruger National Park, the Hluhluwe-iMfolozi Park is a nearly thousand square kilometre slab of wilderness surrounded by private game reserves. With its soaring hills and mountains, Hluhluwe-iMfolozi is scenically much more inspiring than the sometimes drab scrub scape of Kruger. Hluhluwe-iMfolozi is renowned above all else for its rhinos, and especially white rhinos. Indeed, it was thanks to an innovative and wildly successful breeding programme here that the southern white rhino exists at all, and rhinos from Hluhluwe-iMfolozi have been used to re-populate parks and reserves across southern Africa. Today it would be a rare game drive that didn’t bump into at least one of these prehistoric looking creatures. Elephants are reasonably common as are buffalo, zebra, giraffe and wildebeest. Present, but much harder to find (you’d need a lot of luck to find any) are the big cats. Hluhluwe-iMfolozi is easily accessible and has great facilities for people on all budgets. This makes it a good family-safari destination, but it also means it’s the most popular park in Kwazulu-Natal, and during the holidays it can get very busy with holidaying locals. Try to come outside school holidays and weekends. If you’re a fan of that spotted blur of speed, the cheetah, then Phinda Game Reserve, which is renowned for that big cat, will make you very happy. Completely fenced, and therefore not really a part of a greater ecosystem, Phinda Game Reserve still manages to be one of the very best private game reserves in South Africa. 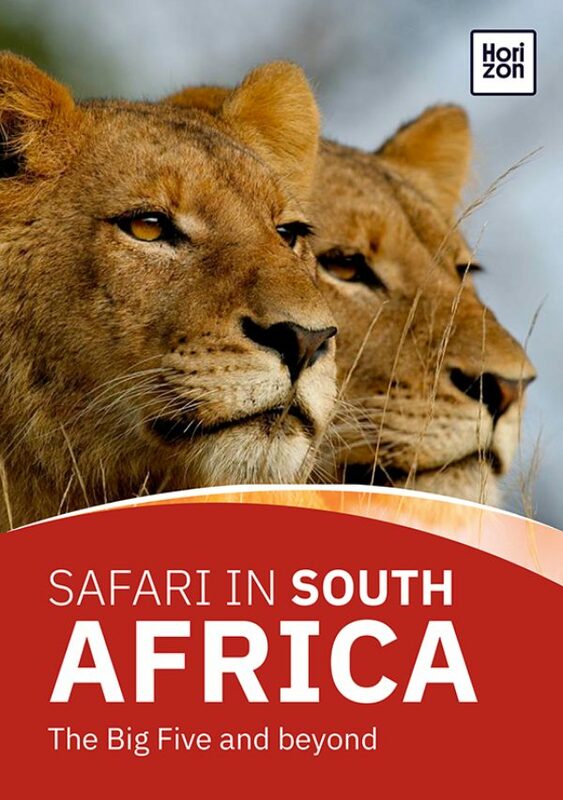 With its winning combination of attractive and varied scenery, large numbers of mammals including all the Big Five, more than 400 bird species, stupendously beautiful accommodation and a real sense of exclusivity, a range of exciting visitor activities and a forward-looking conservation and community programme, it’s easy to see how it garners endless accolades. A stay here doesn’t come cheap and you can only enter the reserve as a guest of one of the six very up-market lodges. But if your budget stretches to it then, in our opinion, Phinda is one of the very best places for a short safari and you’re almost guaranteed to see all the flagship animals. Hluhluwe – iMfolozi Park is the more wallet-friendly of the two parks included here. The park authorities maintain a number of (fairly simple) camps with rondavels (huts) and safari tents. There are also some up-market lodges which have to be rented in their entirety. You need to provide your own food but a chef is on hand to turn it into something very edible! Phinda Game Reserve is a different story. There are six lodges here all of which are extraordinarily lavish and come on a full-package basis including meals, safaris and most drinks and other activities. All of them are managed by &Beyond (andbeyond.com) – one of Africa’s better and more conservation-minded safari companies. For an experience never to be forgotten, guests at Phinda Game Reserve can join the elephant collaring experience. The elephants are collared so that scientists can track their movements accurately and get a more complete grasp on what needs to be done to protect them. Guests can observe scientists and vets track, dart and collar the elephants, but due to the nature of the work this experience can only be had when an elephant actually needs a collar replaced.